Home / Blog / What is Veneered MDF and What is it used for? Veneered MDF (Medium Density Fibreboards) is made from quality wood veneers that are attached to premium fibreboards of average densities. The boards contain a 0.5mm veneer coating on both sides. Even though the veneer coat is used to simulate normal solid wood, there are other reasons for veneer finish on the MDF. The manufacturers are able to create wood options that can be used in the same way as solid woods. These options are availed to the consumer as safer and affordable options. The veneer is used to protect the fibreboard and make it safe for the user. Normally, veneered MDF is characterised by two grades and faces. The flat slicing results to a figured face. Veneered MDF is a natural wood product, and each piece is branded by a unique structure, shading variations, knots inclusions, and grains. Today, Veneered MDF is the ideal substitute for solid wood. Customers who are looking for beauty and quality in wood finish usually go for this option as it rarely disappoints. Due to the smooth nature of the veneered MDF, they are employed as decorative woods. The veneered fibreboards enjoy a range of characteristics that make them effective for domestic use. To begin with, the fibreboards possesses light surface, thus easy to mark and allows visibility of the markings. Secondly, the veneered fibreboards allow easy sanding, thus effective to use. Additionally, the boards allow easy application of adhesives, paints, glue, and screws. For this reason, you can easily fix them and make your desired domestic or office furniture. Lastly, the veneered fibreboards allow cutting of various forms and shapes. This gives you the freedom to achieve woodcut designs that you want. These features make the Veneered MDF effective options than sold woods and other building wood products. The MDF will maintain its form and stand against weather element. The smooth finish means that you can apply your preferred paint with no hassle. The paint applied to protect against harmful fibres from the Veneered MDF. 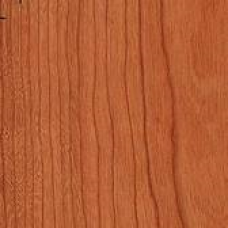 The veneered fibreboards are considered products with a green-origin. They are produced from recycled sawdust, off cuts, and wood chippings. For this reason, the products are environmentally friendly. Nonetheless, you need to take a few precautions when cutting the fibreboards. Though in rare cases, the harmful fibres can result in health issues when inhaled. Therefore, you should use dust masks when chopping the boards. Overall, the boards are safe to handle provided that the fibres are not exposed. Generally, Veneered MDF furniture is the best woodwork package to use at home. The fibreboards can be used in a range of domestic applications. Learning the key functions of the fibreboards is crucial if you want to use the Veneered MDF correctly.